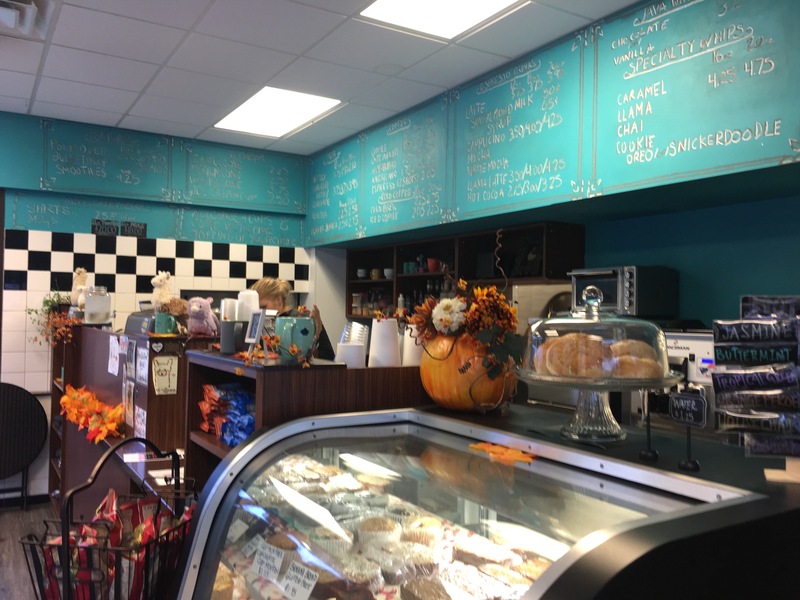 Mad Llama Coffee in Madisonville – Go There. Try That. In case you hadn’t heard, my name is Mindy and I am a coffeeholic. I heart coffee. Coffee all day. Coffee made at home. Coffee from local coffee shops. Cold brew. Mocha. Cortado. Breve. Medium Roast with a hint of sweetener and a touch of cream. I’m a fan of all things coffee! 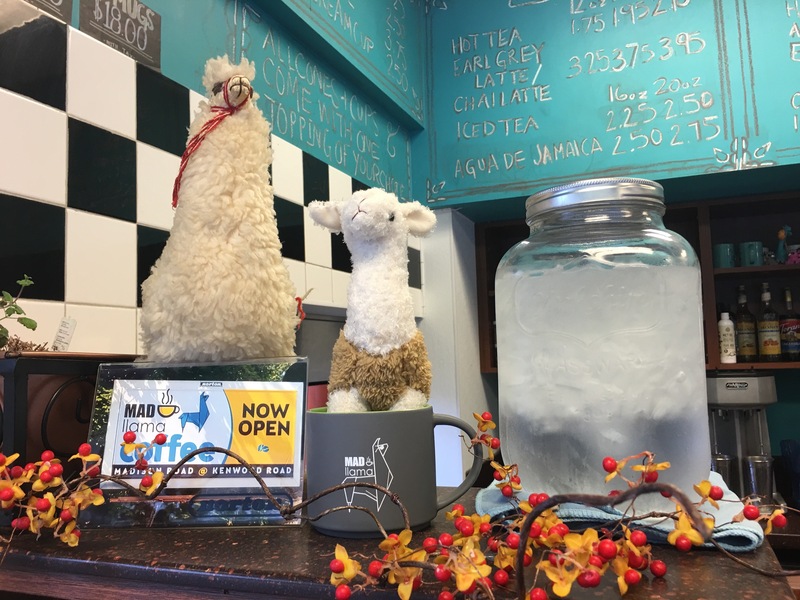 My newest discovery, thanks to a coworker, is Mad Llama in Madisonville. So the name? Where did Mad Llama come from? Mad Llama came out of my quirky head and there is really no backstory for it. It’s a conversation piece and I like that. Some people ask if the llama is angry or crazy, really the Mad is just short for Madisonville and gives the llama an adjective. Llamas are a weird but cute animal and I think our logo is memorable. I really had no idea how many people would love the llama but people really like them and bring us drawings and stuffed llama’s ( or at least things that resemble llama’s) all the time. What makes Mad Llama unique? 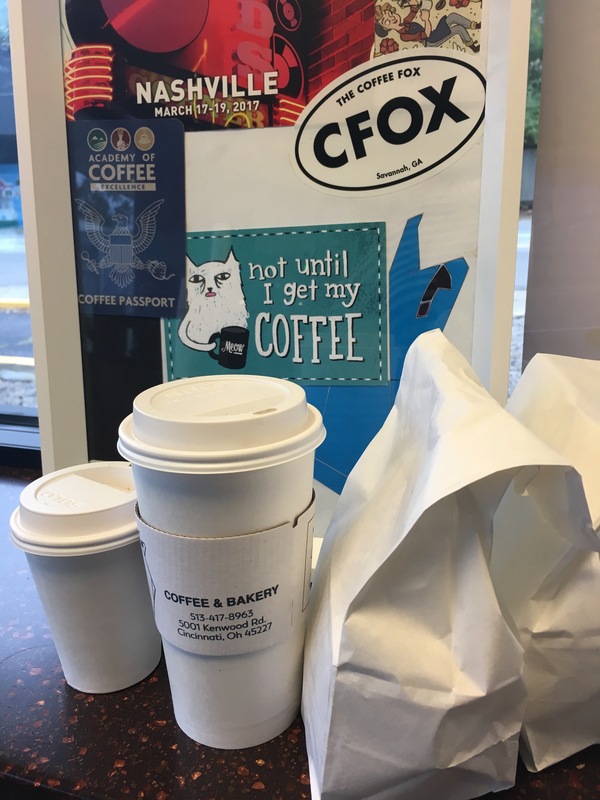 Well, a local family coffee shop with a drive-thru is pretty unique. I like to think it’s our approach to being a specialty coffee shop. My wife has been a barista and coffee roaster in this city for over 15 years and I have learned along with her. We both get really excited about trying new coffee, roasts and brew methods but never really enjoyed some of the exclusivity that often surrounds coffee culture. I think we have done a pretty good job at hiring and training enthusiastic baristas in a non-judgemental atmosphere where we can introduce people to new things and provide coffee education and have fun with it. It’s a family business and the staff are family. I can attest to the quality of your baked goods. I may have sampled a few different items. Who is the baker? I am the baker and I have trained some of the staff to help me out. I am a huge fan of coffee shops with drive-thru windows. Not really a question, but more of a thanks. Do you roast your own beans? If not, are your beans from a local Cincinnati roaster? Yes, we roast our beans. We have recently started sourcing green beans from several smaller exporters so we are excited to be offering a lot of new and different coffee’s very soon. Why Madisonville? Also, love the coffee. Love the menu. However, you do not have much indoor seating. Is there a specific reason? Originally, the business was going to start as just a wholesale bakery which is why the majority of the building is bakery and not seating. It was not easy to get the drive-thru because zoning didn’t allow it and the bathroom is in the very back making the building not ideal for retail. I wanted a coffee shop so we decided to just do it. Not a major reason but I also have a historical connection to Madisonville. My many great grandfather and grandmother were the first family to settle and build a home there. Two roads are named after them, Bramble and Ward. I drink it black. I enjoy coffee like people enjoy wine or a cigar and I get excited when I find a unique coffee; something that stands out. What should coffee lovers know about you that I haven’t asked? We are very involved in the coffee culture; people can find us at most of the coffee events around the city and we travel to other cities for coffee events and festivals. I would like to bring more of a coffee experience to my customers in the future. We do pour over’s and experiment all the time, possibly baking classes and coffee tastings may be in our future. 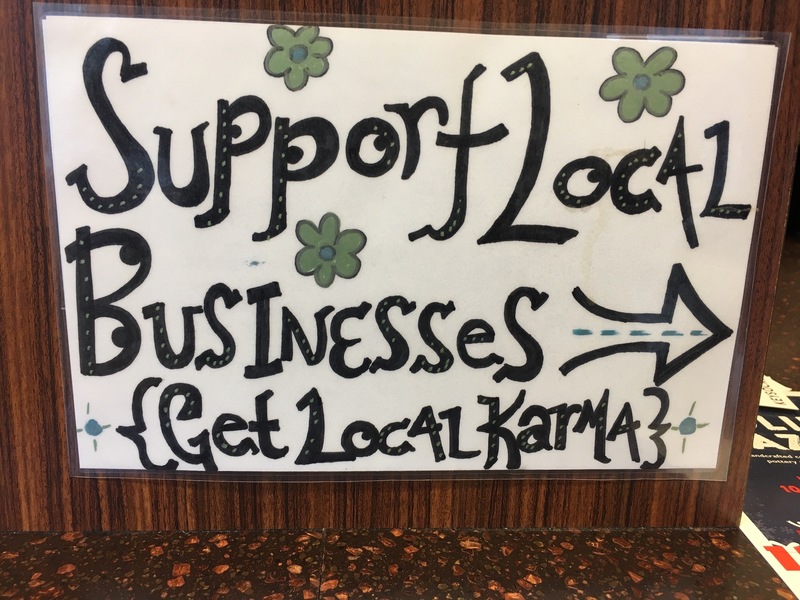 If, like me, you enjoy supporting local businesses and dig a solid cup of coffee, please check out Mad Llama! My favorite order, so far, is a Llama Latte (a mix of dark and white chocolate) and a sausage, egg, and cheese sandwich on housemade sourdough bread! Yep, I’m a fan! P.S.- For those into Chai Tea, I’ve heard on good authority that Mad Llama makes a stellar one! 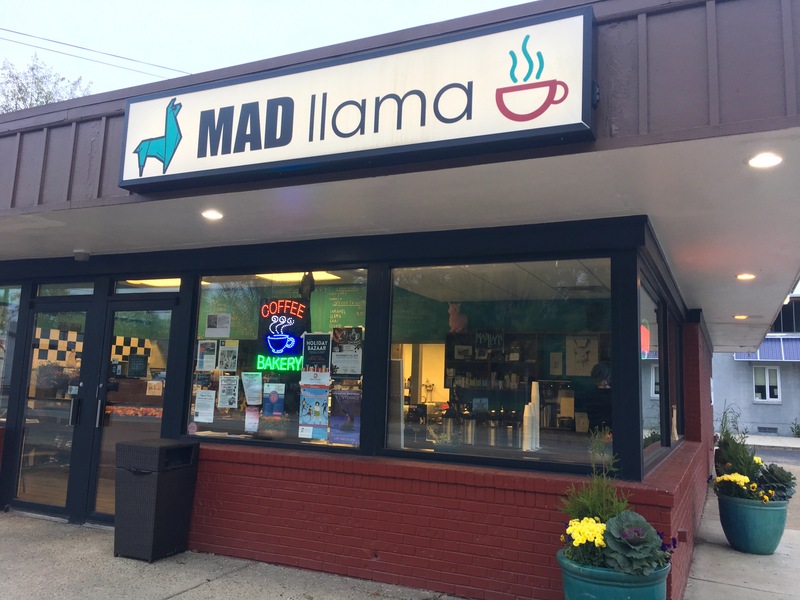 GO THERE (Mad Llama Coffee)! TRY THAT (Llama Latte, House Made Chai, Cold Brew, Egg Sandwich, Bagel)!